Staying on top of all of the beverage-named hair color trends is getting more complicated than the average Starbucks order. If your head is spinning from trying to get pumpkin spice latte and mauve champagne straight, we're with you. However, there's always room for desert, especially when it's as indulgent as this new food-inspired hair color that's skyrocketing in popularity on Instagram. Red velvet is fail-safe option for any monumentous occasion that calls for cake. The crowd-pleasing maroon treat is sweet, yet rich, and a literal feast for the eyes. 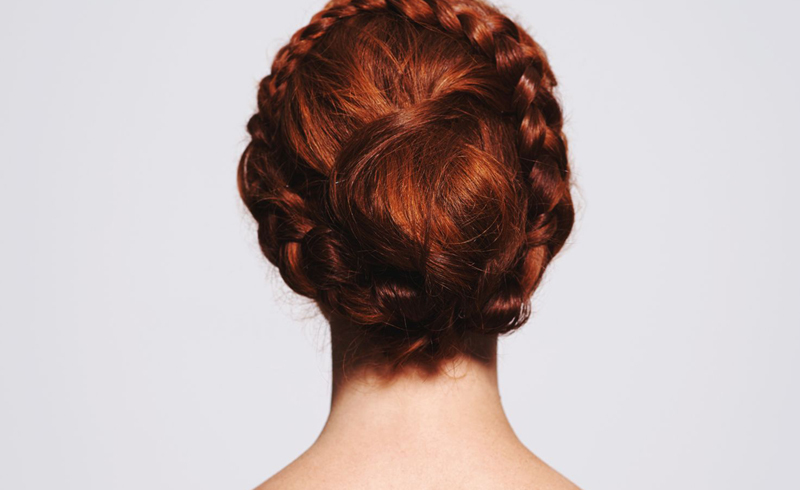 Essentially, it's the recipe for the perfect winter hair color. 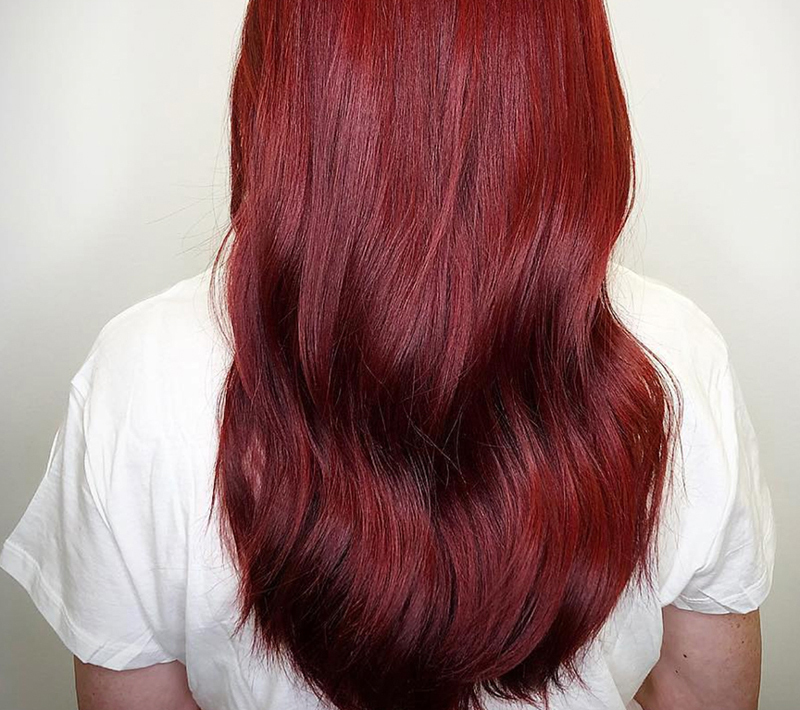 Red velvet hair isn't quite as vivid as fall's red flannel hair, but it's a rich, seasonal take on auburn and quite honestly, pretty decadent — just the kind of dessert (or hair color) that'll help you feel warm and cozy when it's freezing out. Sharon Dorram, a Master Colorist at Sharon Dorram Color at Sally Hershberger Salon agrees. She says that the color is one of this season's biggest trends because it's "eye-catching and lustrous." Just like the actual cake, there's different ingredients you can use to get red velvet hair. The shade will vary depending on hair type and texture, plus the base color you're starting off with. "This color will take differently depending on the depth of the natural base and the thickness," explains Dorram. "Most likely a base lift is necessary for medium to dark brunettes. Dark blonde to light brown hair can be applied straight." Afterwards, the colorist will use a rich auburn rinse with amber violet undertones that can be applied over the bast to seal in the color, plus shine. Red velvet cupcakes are good enough to eat in two bites, and the hair color can go just as fast. Since red hair fades faster than any other shade, Dorram says that you'll have to give it a little extra TLC to keep it looking fresh. She suggests washing it with a gentle, sulfate-free shampoo such as Virtue's Recovery Shampoo and avoiding styling products that have alcohol in them because they can be drying. Careful exposure to the sun and salt water can help, too. So, ready to take a bite? Keep scrolling for examples of red velvet hair to take to the salon.